The Democratic Party is still in the process of redefining itself. More than a quarter of the way through 2018, consider the following and ask what it means for how long the Democratic primary race may last. There are nearly 20 candidates in the race. The leader in most polls, former Vice President Joe Biden, is still a week or more away from a possible announcement. (Ethan Miller/Getty Images) Pete Buttigieg speaks during a meet-and-greet at Madhouse Coffee, April 8, 2019 in Las Vegas. 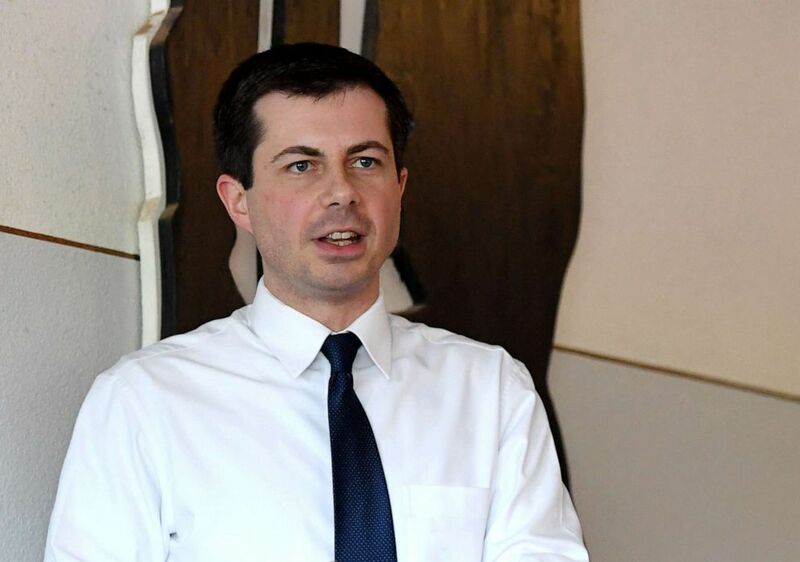 Pete Buttigieg, a 37-year-old Indiana mayor, has raised more money than one of the best-known and earliest-announcing candidates, Sen. Elizabeth Warren. And in a new poll in big-prize California, Buttigieg, entrepreneur Andrew Yang and Rep. Tulsi Gabbard are all out-polling a U.S. senator from New York and a former governor of Colorado. The Democratic Party is still in the process of redefining itself. It figures to be a while before its voters can define who its 2020 candidate will be. The next stage in campaigning will likely be all about making the stage. With initial fundraising totals in and a pivot to the spring and summer, expect the focus to adjust over the next few months around who in the Democratic primary has qualified for the first debate. (Steven Senne/AP, FILE) Presidential hopeful U.S. Rep. Tulsi Gabbard, D-Hawaii, addresses an audience during a meet and greet, Sunday, Feb. 17, 2019, in North Hampton, N.H. The Democratic National Committee has imposed new debate qualification standards. Candidates must earn at least 1 percent of respondents in three national or early-state polls conducted between January 2019 and two weeks before the given debate have receive donations from at least 65,000 individuals across 20 different states, with a minimum of 200 unique donors per state. Debate participants are limited to 20. 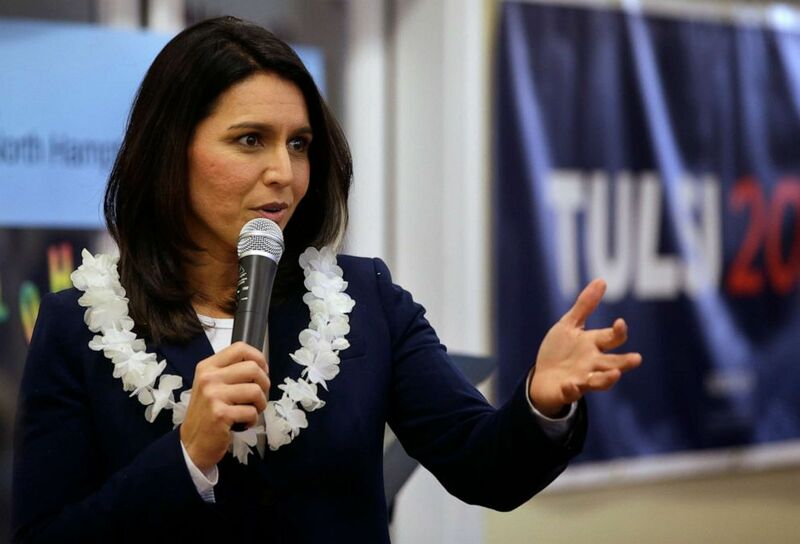 Wednesday night, Gabbard announced that she had met one of the thresholds to secure a podium. The congresswoman from Hawaii said she received contributions from more than 65,000 donors. Yang, a relatively unknown businessman, already announced he's cleared that watermark too. Former Virginia Gov. Terry McAuliffe, who is still weighing a bid for president, signaled Wednesday he is much closer to making a final decision. "I just want you to remember one thing, of all the candidates running, how many have actually wrestled a 280-pound, 8-foot alligator for a political contribution for $15,000. ... If I can wrestle an alligator, I can sure as hell wrestle Donald Trump," he said at the Building Trades Conference in Washington. (Yuri Gripas/Reuters) Former Virginia governor Terry McAuliffe speaks at the North America's Building Trades Unions (NABTU) 2019 legislative conference in Washington, April 10, 2019. 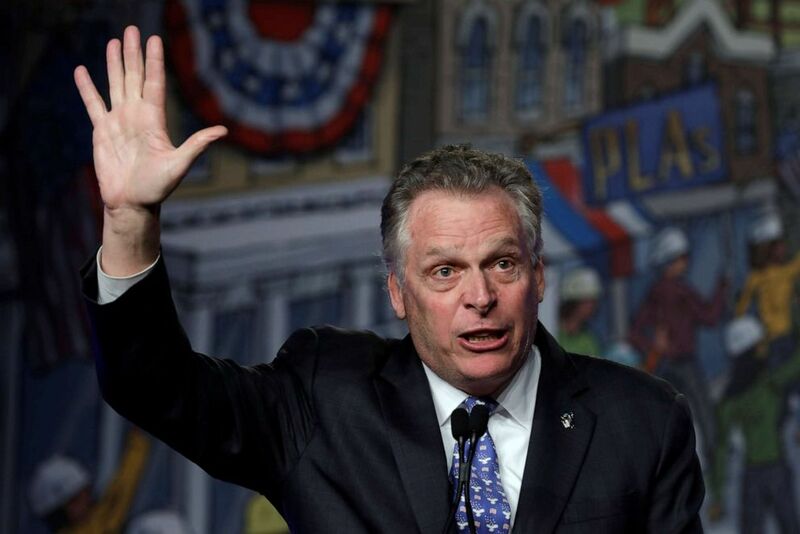 But McAuliffe, who has deep connections in Democratic circles that could make him a fundraising powerhouse, faces a familiar challenge: distinguishing himself from the pack. But he might set himself apart with a centrist appeal and a resume with extensive executive experience. “Governors don't talk, we've got to deliver. You have to look at the governors because they are CEOs," he said Wednesday, sandwiched between several declared candidates who all delivered similar pro-union pitches. "We have to work with folks to get it done. I'll work with anybody." President Donald Trump meets with South Korean President Moon Jae-in and his wife Kim Jung-sook at 12:10 p.m. Later, the two presidents will participate in an expanded bilateral working lunch. The House Democratic Caucus retreat continues Thursday with remarks from the House Democratic Caucus Chairman Hakeem Jeffries, House Speaker Nancy Pelosi and more in Leesburg, Virginia. Presidential candidate Sen. Kamala Harris, D-Calif., wraps up her two-day visit to Iowa, meeting with House and Senate Democratic Caucuses at Iowa State Capitol at 11:30 a.m. CST. Later, she will attend an Emerge Iowa House Party to celebrate the women who ran and won in Iowa over the last few years and to encourage women to run as the organization looks forward to 2020. Former Vice President Joe Biden will appear at a panel discussion on the opioid crisis in University of Pennsylvania at 3 p.m.
Presidential candidate and Democratic mayor of Miramar, Florida, Wayne Messam kicks off a two-day visit to California and attends the University of Southern California College Democrats Meeting at 7 p.m.
Former President Bill Clinton and former Secretary of State Hillary Clinton will kick off a speaking tour at the Beacon Theatre in New York City at 8 p.m.
Presidential candidate and a former Housing and Urban Development Secretary Julian Castro will appear on a CNN town hall at 10 p.m.
Download the ABC News app and select "The Note" as an item of interest to receive the day's sharpest political analysis. The Note is a daily ABC News feature that highlights the key political moments of the day ahead. Please check back tomorrow for the latest.